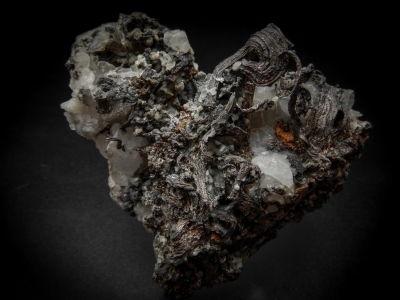 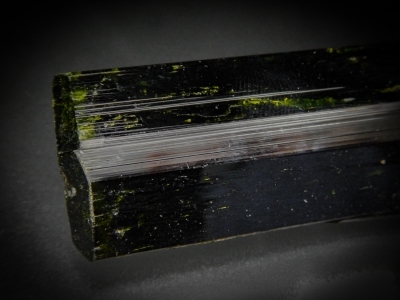 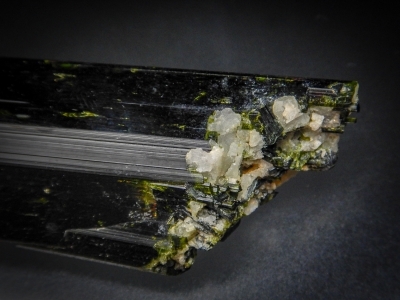 A large elongate twinned epidote crystal. 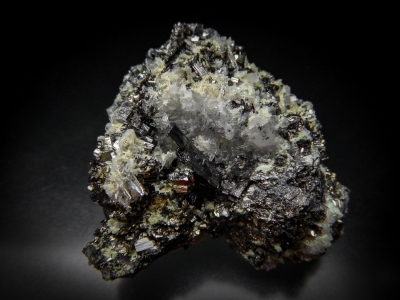 The backside is preferentially coated with tiny specular hematite crystals. 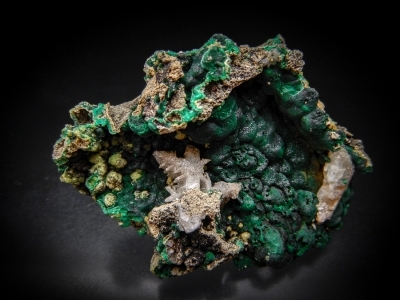 Cerrusite with well defined cyclic twinning contrasted against green malachite matrix. 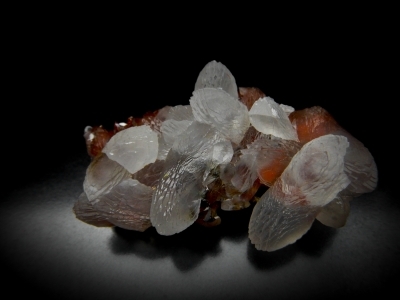 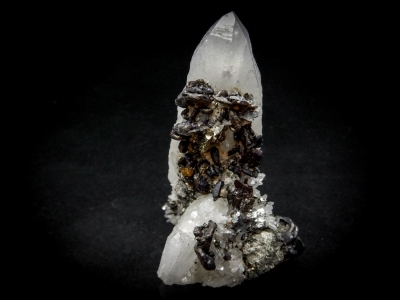 An unusually large (2cm) enargite crystal in a quartz vug with associated pyrite and smaller enargite crystals from the "richest mountain on earth". 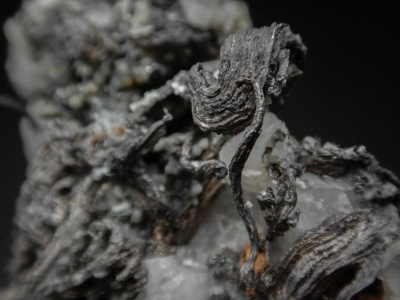 Well formed wires with heavy striations and associated calcite crystals. 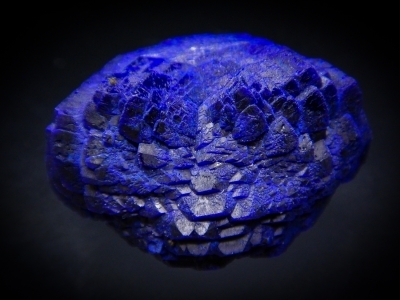 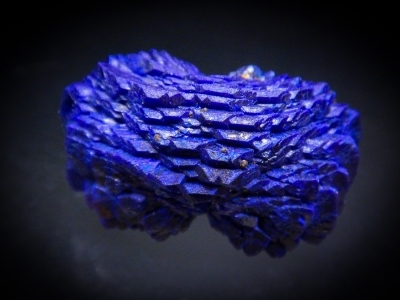 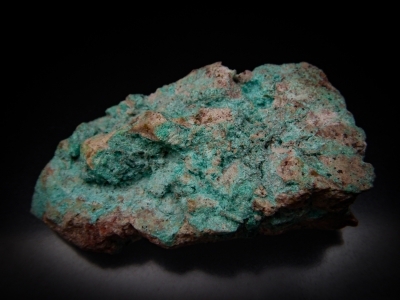 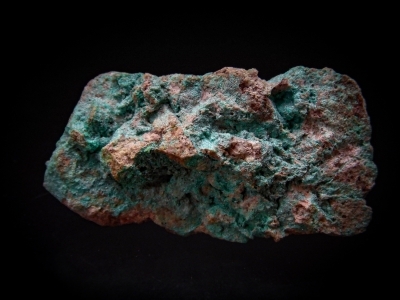 A 3.1 cm wide classic Azurite rose. 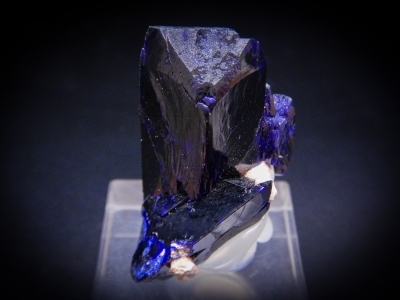 Very well formed and lusterous Azurite crystal. 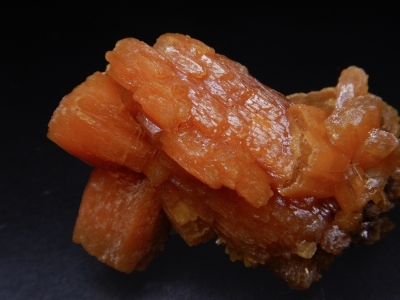 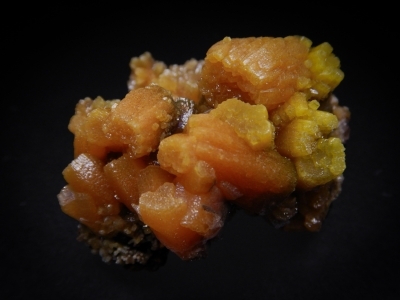 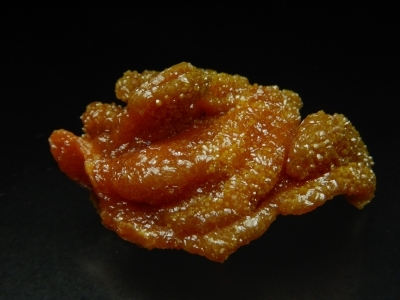 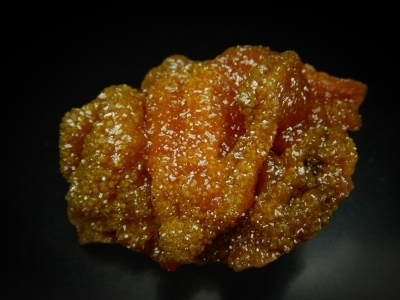 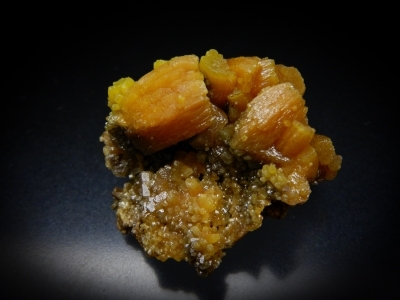 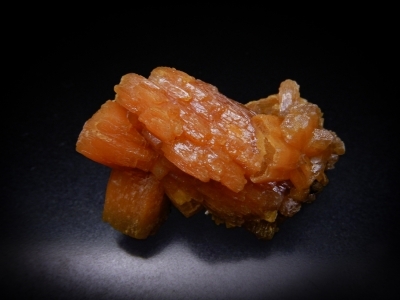 Large orange pyromorphite crystals slightly grading to and off green color in places. 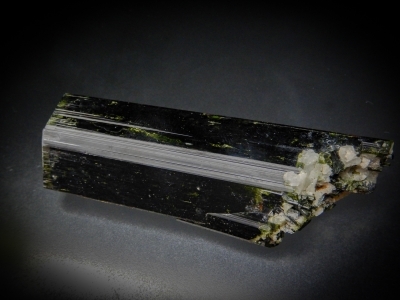 The largest crystal is about 3 cm long. 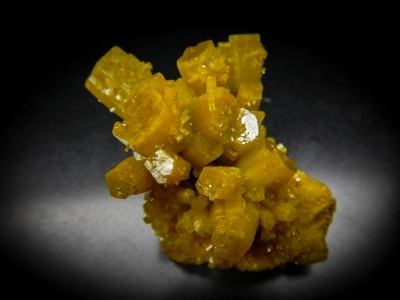 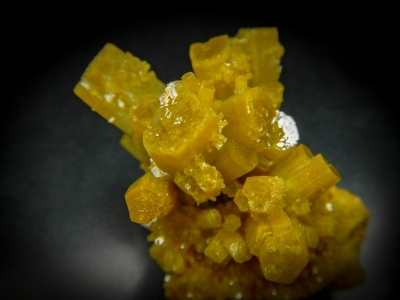 Zoned green to yellow orange barrel shaped pyromorphite crystals. 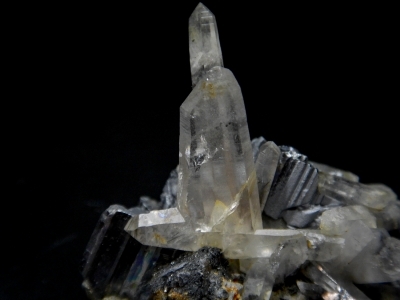 The largest crystal is 1.6 cm tall. 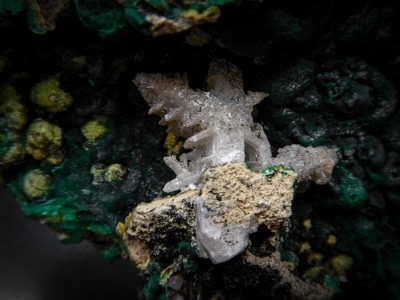 Bright shiny arsenian pyromorphite which looks to be epimorphic after large, earlier generation pyromorphite. 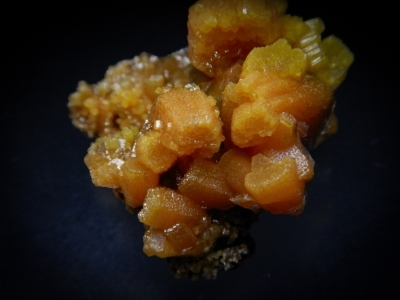 Classic yellow-green pyromorphite from bunker hill. 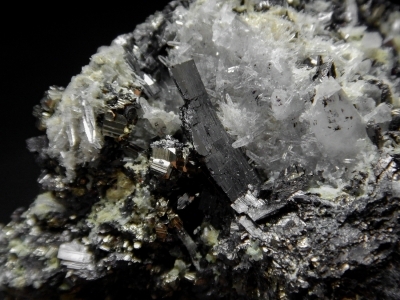 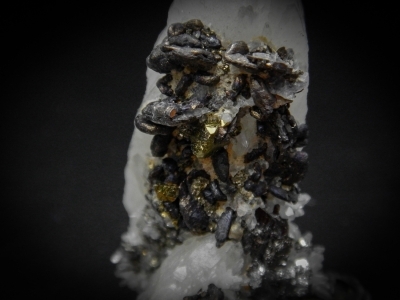 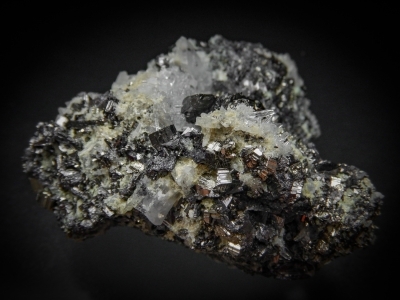 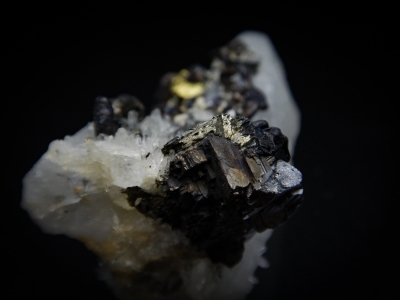 Well defined semseyite and chalcopyrite crystals perched on a large quartz crystal. 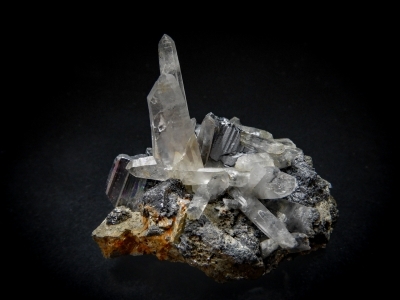 A druse of tiny ajoite crystals from the type locality. 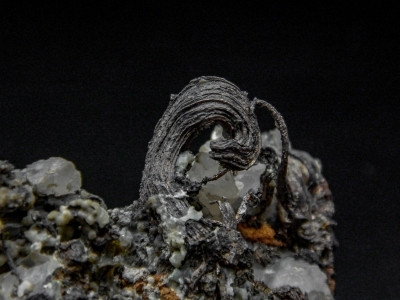 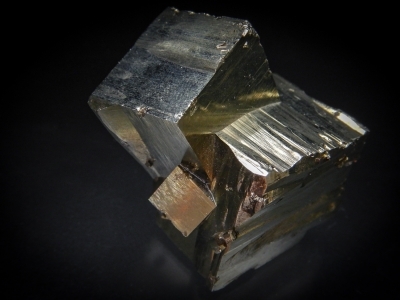 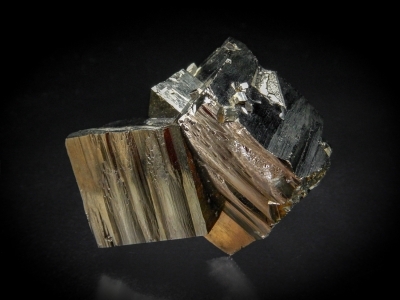 Pyrite with the unusual growth habits typical of the black Cloud Mine. 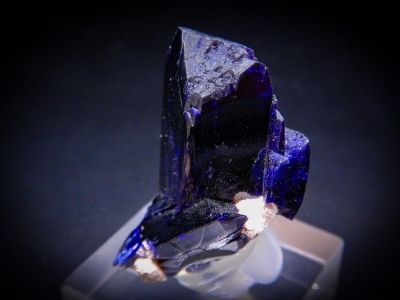 Specimens such as this launched Dave Bunk's mineral career. 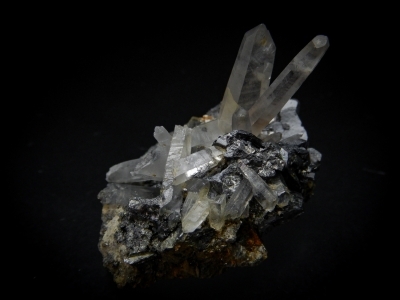 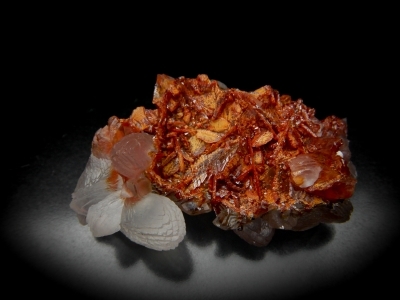 A double Japan law twinned quartz on Bournonite.